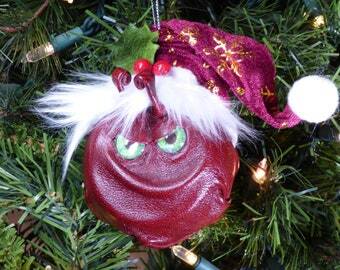 This Christmas Ornament is made from a shatter proof Ornament, premium leather and lots of wicked holiday attitude. Each is a one of a kind with handmade eyes, teeth and a little Santa hat that is wired so you can pose it any way you like. 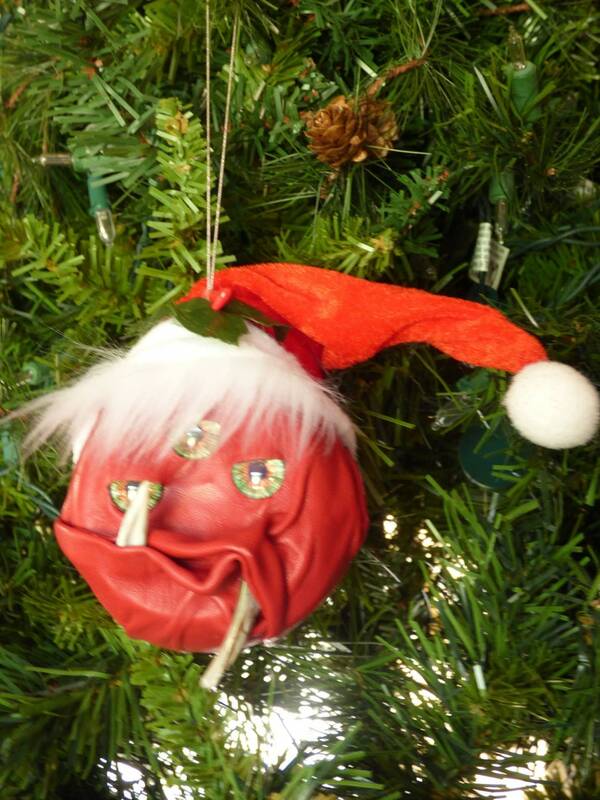 It comes ready to hang on your tree. It is round and approximately 4 inches across x 4 inches tall ( Not including his hat). I hope you like this wicked Goblin!! There are many interesting things here so come visit often. You never know what you might find... Or what might find YOU!!!! This is a Tree Goblin. Having brought the Christmas totes down from the attic we were unpacking the Christmas decorations when we noticed that many had been nibbled. Some had nothing but a metal hanger left!! Oh dear!! Out of the corner of my eye I spotted a rustling of bubble wrap that still had an ornament in it. Being careful not to scare the creature away I carefully unwrapped the ornament only to find a Tree Goblin munching away! Quick as a wink I cast an enchantment that hit so hard it knocked all the wicked creatures out of the totes and into the kitchen where they landed with a splish and a splash in the dish sink. Soap bubbles flew everywhere! Somehow the bubbles were caught in the enchantment and the Goblins who ate my ornaments became Christmas ornaments themselves!!! Serves them right!! After drying them off and placing a Santa hat on their little Goblin heads I charged them with the task of protecting the Christmas tree and the other ornaments! 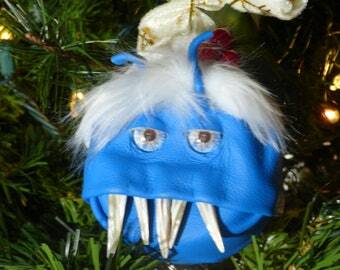 Now should other wicked creatures come near to nibble the ornaments they will have Tree Goblins to deal with!! 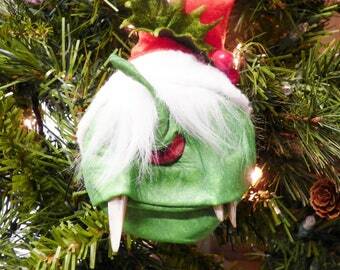 This Tree Goblin needs a new home to terrorize...I mean...A Christmas tree to protect!!! Have you noticed broken ornaments??? 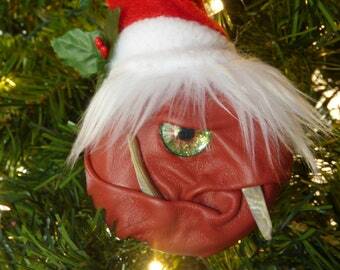 If so you need a Tree Goblin to protect the rest of your ornaments and your Christmas tree! Happy Holidays!